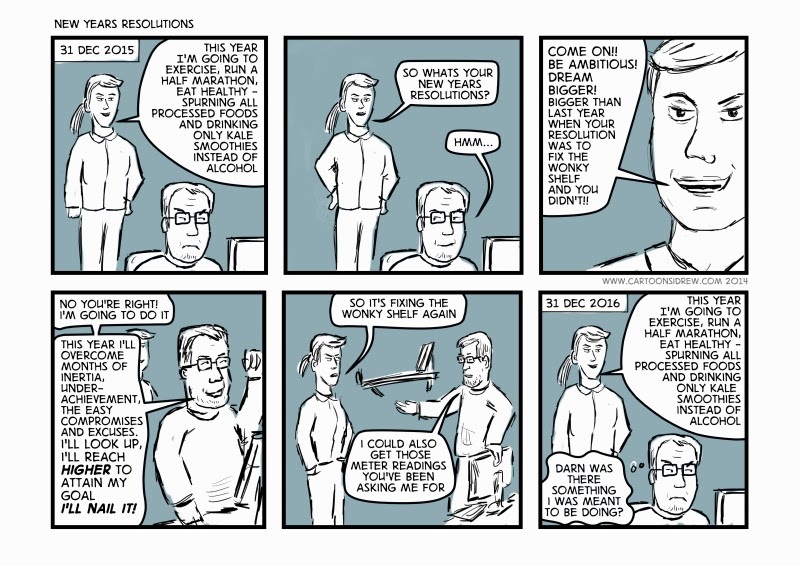 Can't decide whether resolutions should be lofty and ambitious or realistic and achievable - so I drew a cartoon instead. 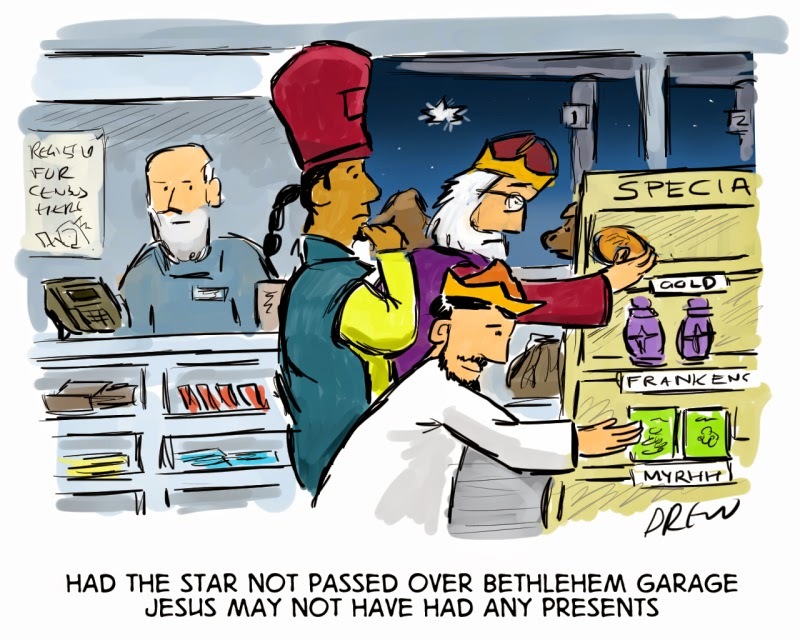 A cartoon for those last minute shoppers featuring my favourite three wise men. 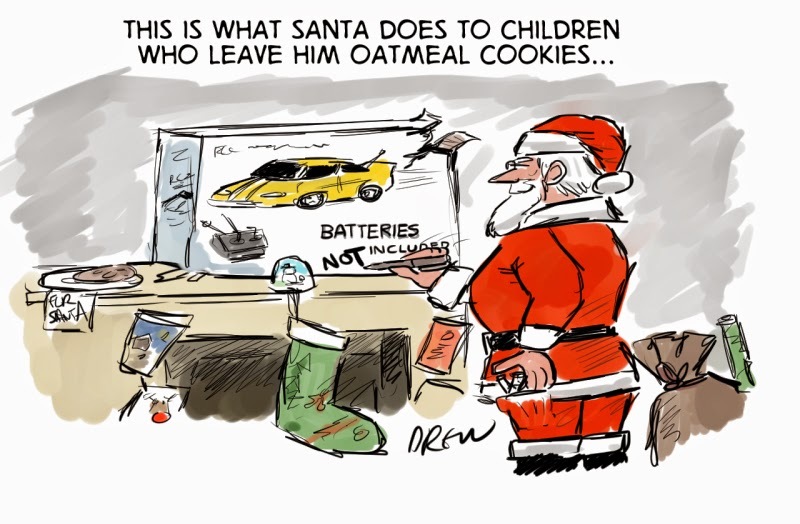 What do you tell your children who think Santa has delivered their presents when there aren't batteries included in with your electronic presents? Is he negligent, was there an elf who needs disciplining at the North Pole? Here's an alternative scenario from a slightly bad Santa. 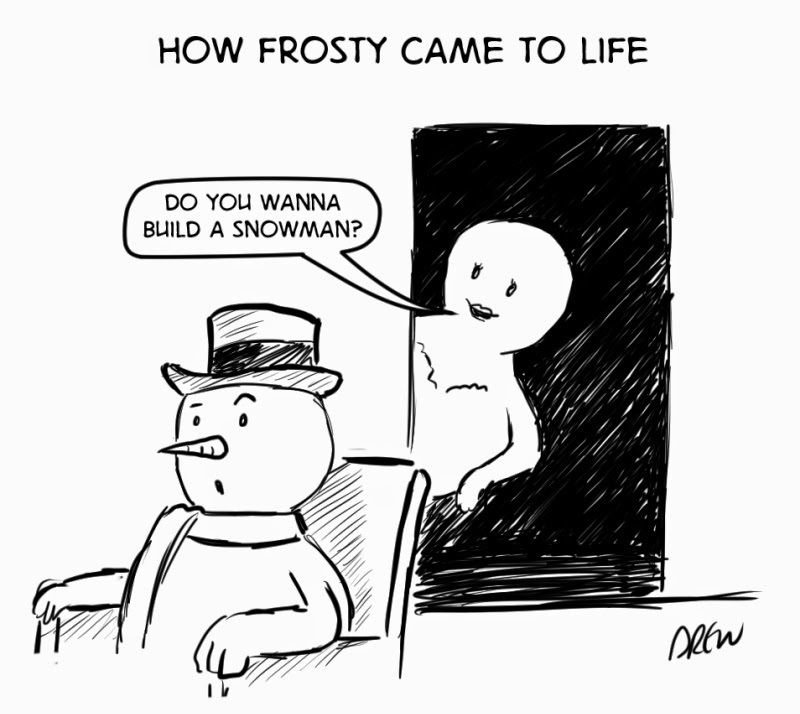 Every year I hastily scribble some cartoons in friends Christmas cards here is one that combines Frosty the Snowman and Frozen's Let It Go.